Fifty Cent has not only done well in the music business, he know has a excellent fragrance out for men. 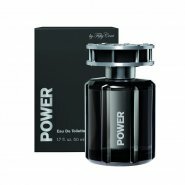 The 50 Cent "power" is a must have fragrance. Any new Fifty Cent fragrance? Be sure to find it at Only MinX first.